Joyful Hermit suffers from intractable, rather high-level pain. This has been going on for nearly 27 years as a result of a teen driver who was drunk. Surgeons years ago said the pain would worsen with age, and they have proven to be joyfully truthful. Awhile ago Joyful watched a news video clip online about a blender drink that promised results in three days. There is no secret ingredient but offers common dietary sense. A health food specialist a couple years ago told JH to have some fruit first thing, daily. Gets the metabolism rolling. Select some fruits and green vegetables. Romaine lettuce is recommended over spinach in this case. Spinach contains C, but has lycopene that is invaluable to the body. Only steamed or cooked spinach releases lycopene. The vitamin C in spinach comes in many other fruits and vegetables. Joyful researched this fact so will cook spinach from here on out. 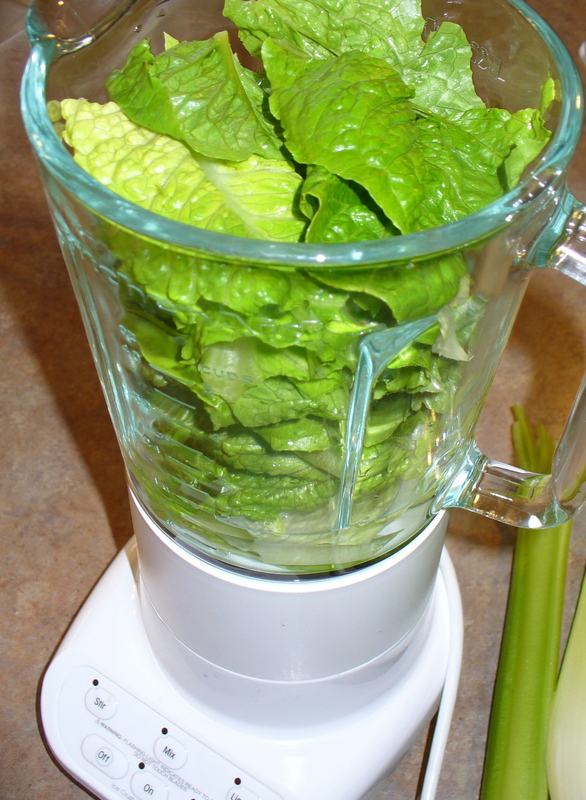 Break up romaine (or other dark green lettuce) into blender. Add celery, cucumber, etc. Blend with 1-2 cups water. 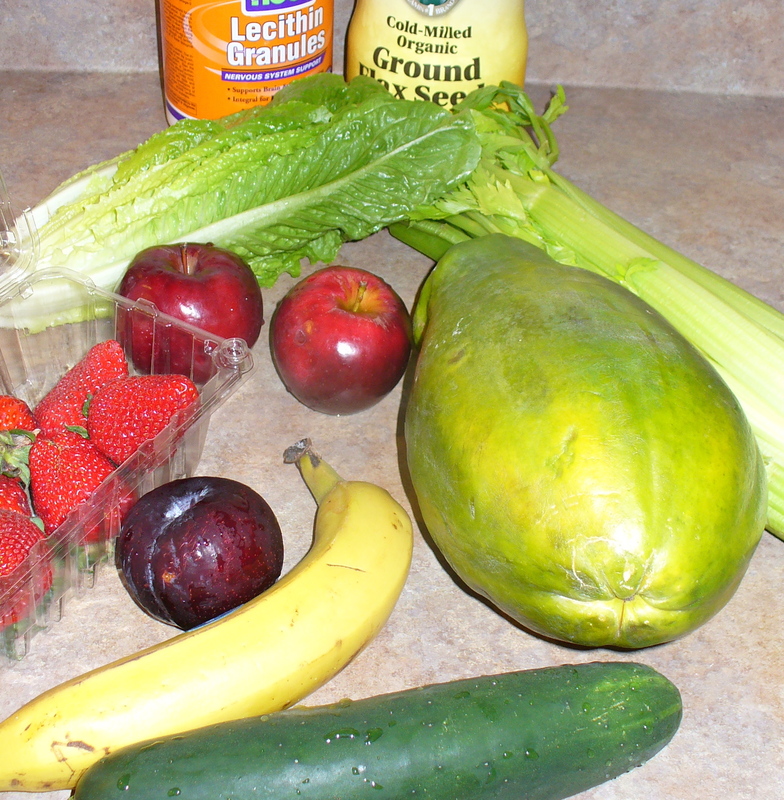 Then add whatever fruits; liquefy. Joyful uses papaya and pineapple often since these fruits are anti-inflammatory aids. (Red meat increases inflammation, BTW.) JH also adds ground flax seed and lecithin granules. Imbibe a glass of Green Glop! Consume first thing in the morning, leaving oatmeal or egg until a bit later. The remaining Green Glop may be frozen in small containers for future mornings. 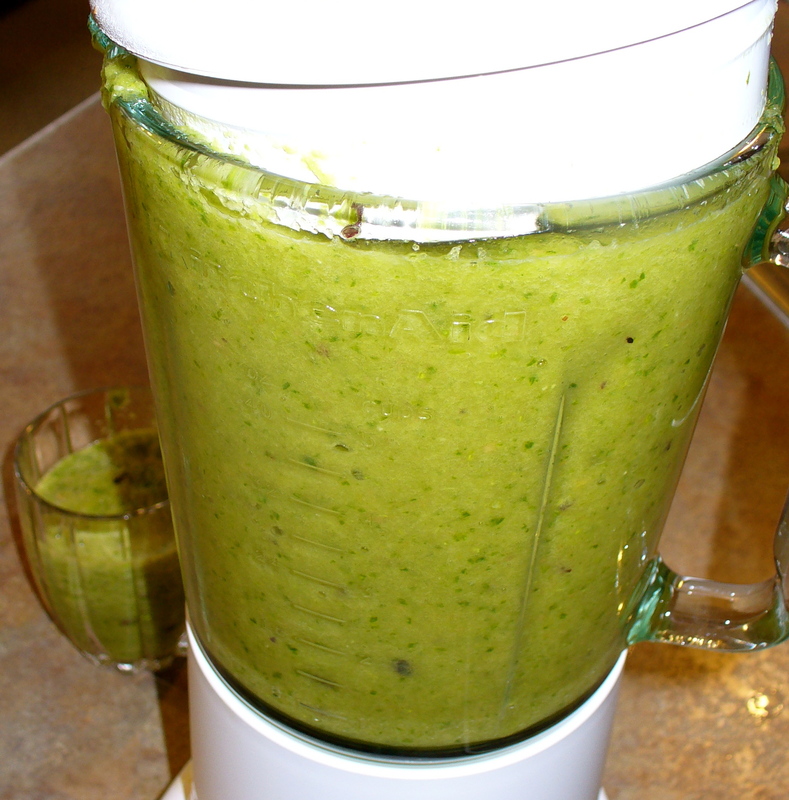 The drink is supposed to improve skin, hair, metabolism, and remove toxins. Also, a man who drank it for a month claims 1o pounds lost. Hermits traditionally ate fruits, greens, nuts, legumes and herbs. Joyful still does. Green Glop (1 week) has not impacted the high pain levels in this body. Perhaps there is more energy? Regardless, what we put into our mortal bodies affects our attitudes, efficiency, and effectiveness in a world increasingly clogged and unhealthy in far too many aspects. This entry was posted in Health Helps, Misc. Bookmark the permalink. difficult for old eyes to read. I am enjoying your articles. Fixed the ink, leaving Green Glop in green. I have not noticed a difference yet but will keep at it. What I have noticed is that it helps in taking the meds and vitamins first thing, having something liquid but of substance on the stomach. We do our best with what we have–and for many of us, with what we have left! I like this tip that you just sent in, also, Corissa: this week @ kroger athenos hummus which is usually $3-$4 is on sale for $1. many of the containers also have a coupon attached for a free greek yogurt—-while not organic, does have 11 grams of protein! (the boys eat an insane amount of yogurt) kroger does not carry the yogurt. HOWEVER, walmart will price match competitors ads and carries the yogurt. you simply tell ask them to price match the hummus with their kroger ad for $1. we bought over 20 hummus because they will last for months and make great lunches with a pile of veggies, etc. and we also got 15 free greek yogurts by pulling the coupon off the containers. anyway….Also good to know hummus lasts for months (refrigerated, I assume). Joyful has a container in the fridge that’s been there awhile, purchased on clearance at ALDI, but nothing like the Kroger deal. Will head there tomorrow. Thanks for tip!